How did you come to SY? 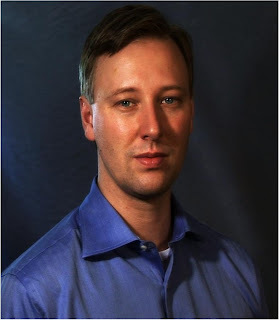 I had been seeking for 7 years and tried a variety of methods. 1998 I went to London to look for work as a singer. I didn't get work but I found Sahaja Yoga. It was a great experience to take the first steps in the heart of the Universe. 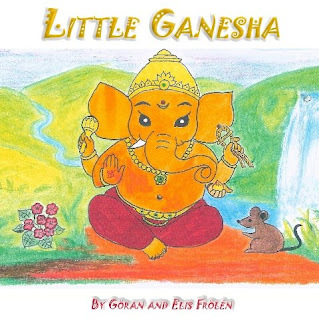 How did you come to the idea to record CD Little Ganesha for little children? When we got children we had some CD´s with songs but there were many Deities that didn't have songs. So actually they came because from a practical need. It was really spontaniously. It could be we were sitting with the children meditating and we came to a chakra where there were no song and song came during the meditation. So it was really was Shri Mataji writing the songs. I just had to adjust like 10-20%. Who made the lyrics to the songs and what was the inspiration for creating this album? The lyrics also came through me.The album also came from a practical need. Many parents asked for a CD when we were singing the songs. Who all took part on creating this album and how long did it take to record it? There were me, my sister and little Marie. Also Elis and Amina, my children are there. A girl named Satu played the violin and Eero from Finland did the recording and also performed "We only watch"
How did the child feel the recording and what were the first reactions of other children after listening to the album? 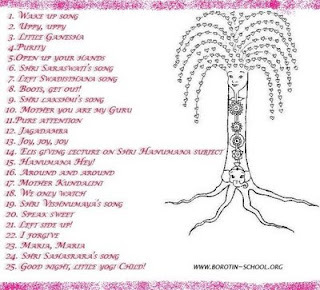 It is much easier to meditate with the children when we have the songs. We usually let them choose a Deity and then we sing that song. What is it for you the meditation in SY? Without SY there is no meaning to life. Of course it can be challenging to every day have to see my own faults but actually there is no other option for me. Did you play these songs for children in front of our Mother? We played in Cabella but not in front of Mother.